Urological conditions can be very pressing and can bring along a certain amount of urgency. It is crucial that these conditions are given immediate medical attention to avoid further deterioration of the situation. Unlike the developed countries, the underprivileged countries like Uganda do not have ample amount of resources to get these diseases cured on time because of the critical shortages. 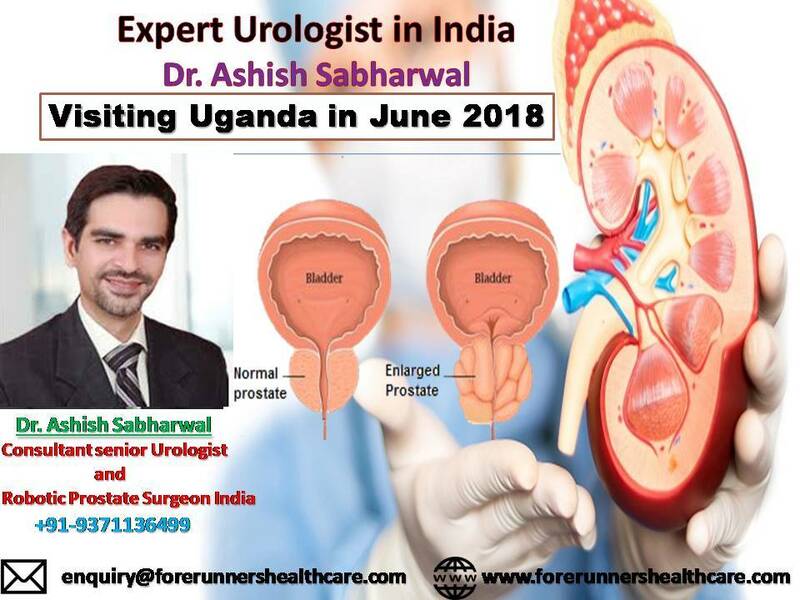 So, the Uganda patients have a huge opportunity to receive the apt treatment and procedures from Dr. Ashish Sabharwal, the top Urologist in India, who will be visiting Uganda in June 2018. India is undeniably blessed with some of the finest doctors and surgeons recognized all over the world – be it any medical speciality. 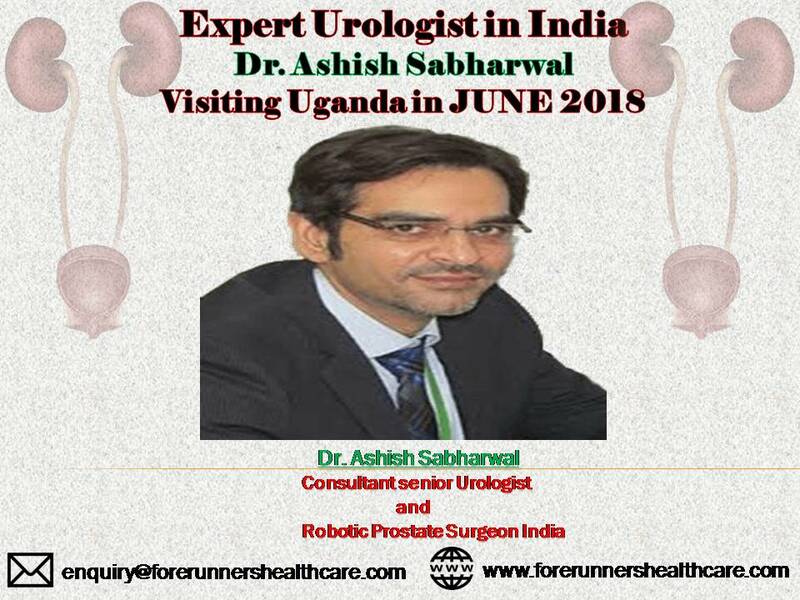 When it comes to Urology, one of the most renowned names is Dr. Ashish Sabharwal, a Urology Surgeon in India, who excels in this field. He is highly qualified and proficient to handle the most complex Urological conditions. He even has an advanced certificate to practice Urology at Florida. He has been catering wholeheartedly to several patients coming from many countries. Most of nations belonging to the African continent are highly underprivileged and have several loopholes in most of the sectors. But in the matter of healthcare, specifically Uganda is one of the most poorly developed countries. There is severe amount of insufficiencies in the number of healthcare specialists, properly maintained healthcare centers, latest medicines and diagnostic equipment and many such hindrances. How people of Uganda get benefits by booking appointment with Forerunners Healthcare? Complete support in the matter of medical visa, accommodation and hospital formalities, etc. «Treating Pancreatic Cancer: What Are the Success Rate in Indian Hospitals?